Utilis will host their second Innovation Summit in San Diego, bringing together water industry professionals from around the world to talk about satellite leak detection from November 26-28th at the Hilton San Diego Bayfront Hotel. The Summit will tackle water conservation efforts through reducing non-revenue water by detecting leaks of potable water in underground pipes. On average, U.S. water agencies nationwide lose 46 gallons per service connection per day (GSCD) between treatment facilities and the consumer, according to the American Water Works Association (AWWA) 2016 report. The keynote speakers will be Dr. Cathleen Jones of NASA’s Jet Propulsion Laboratory and Dr. Steven Folkman of Utah State University, both leaders in their fields who will be presenting the use of Synthetic Aperture Radar satellite data to monitor infrastructure, and the state of water infrastructure in the U.S., respectively. Global leadership from water and consulting organizations such as Spokane City Water Department, Hazen and Sawyer, Severn Trent Water, SUEZ, 2F Water Ventures, and more will be speaking at the event to share their experience using innovative methods for leak detection. The event will be invaluable to water utility managers looking to learn the latest and greatest in locating leaks to save water, time and money. 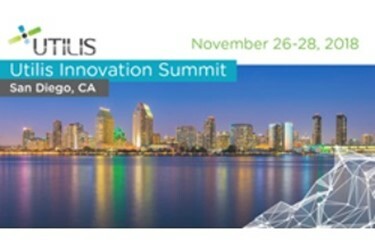 Registration is still open and can be accessed at https://events.eventact.com/eventslist/UTILISInnovationSumm18. Utilis is the only patented technology using satellite microwave technology to penetrate soil in the search for drinking water associated with leaking pipes. As the world’s only drinking water leak detection provider, their algorithm brings remote sensing technologies to the forefront of protecting the earth’s resources. Headquartered in Israel, with a United States subsidiary in San Diego, CA, Utilis currently provides innovative solutions for utilities around the globe. For more information, visit https://utiliscorp.com/.